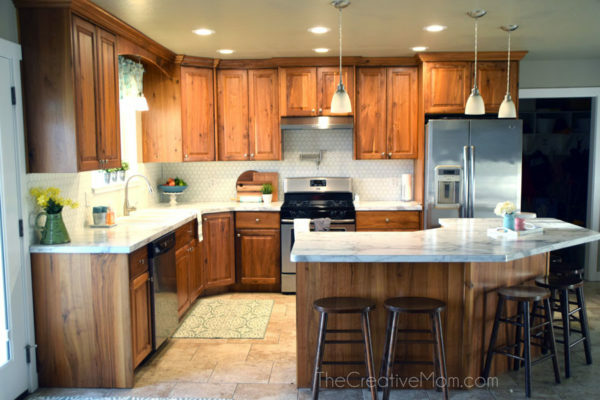 Our kitchen renovation is finished! 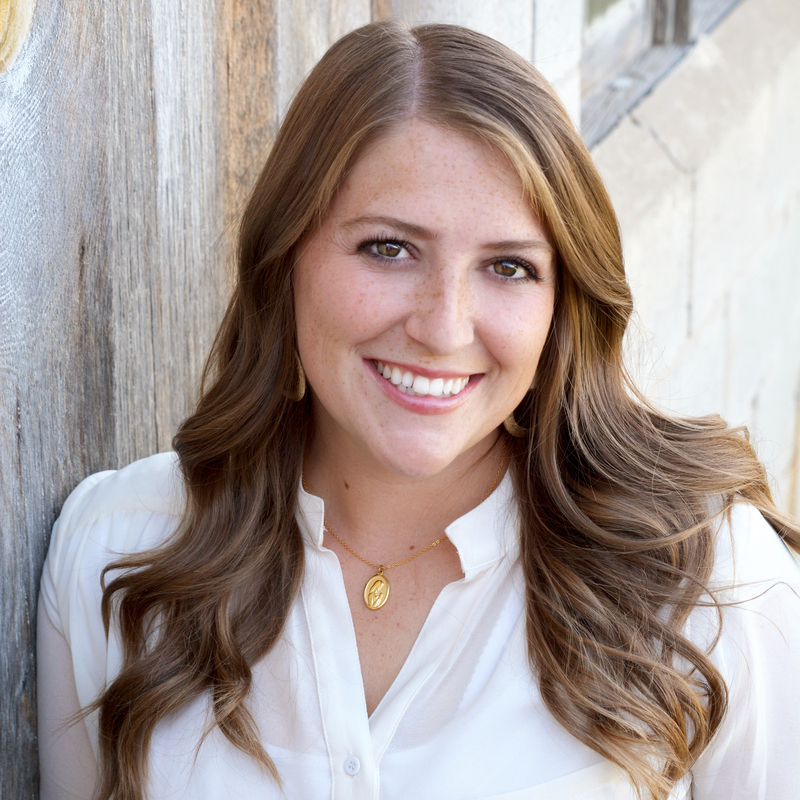 I’m so excited to share the finished project with you! 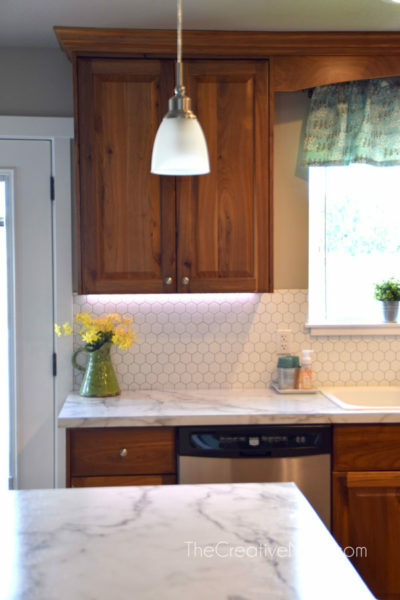 If you’ve been following along with me on Instagram, you know that my husband and I have been working on a little kitchen renovation. 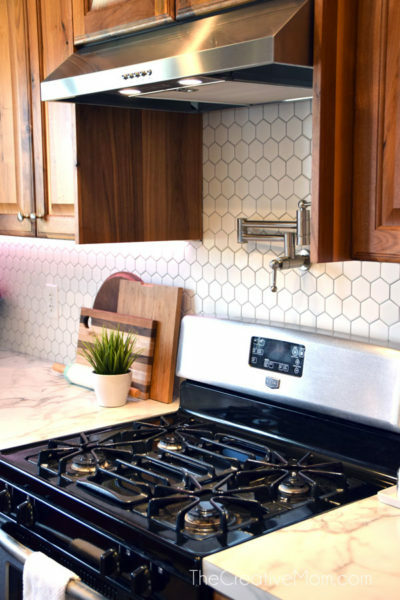 Last week I shared the reason we decided to go ahead with this kitchen renovation, and what backsplash tile we picked out (read all about it here). 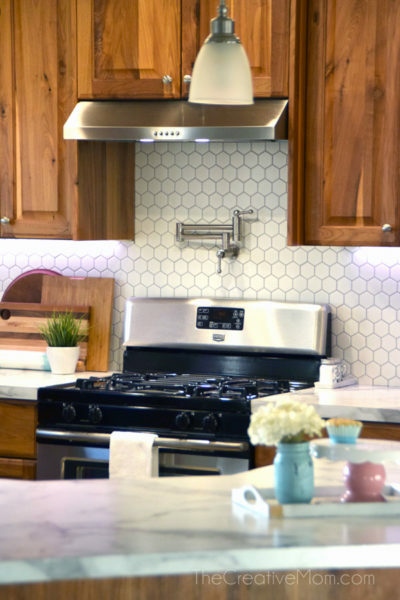 Can you even handle that bright white backsplash? Ahhh, it’s like a breath of fresh air. 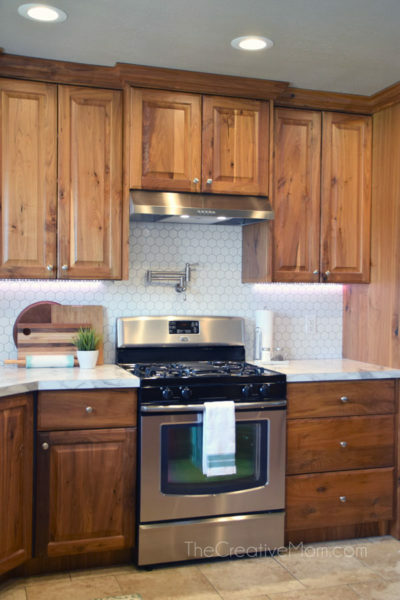 I also wanted a pot filler above my stove, which meant that we had to relocate our microwave (to the pantry) and add a range hood. I think above my stove is my favorite part. Doesn’t it look SOOO good? I don’t know. I kind of love my kitchen sink too. It’s a toss up between the pot filler and this sink. LOL. 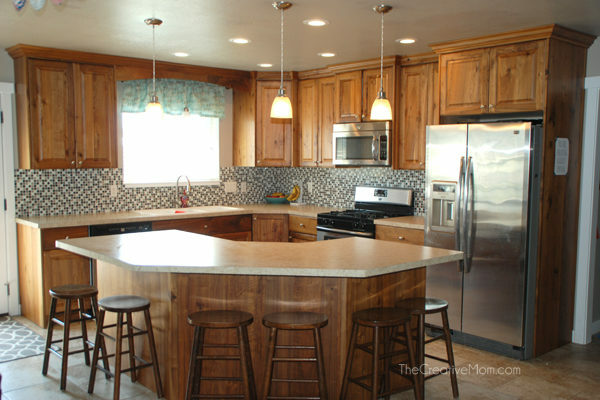 Do you want to know how to replace tile backsplash? 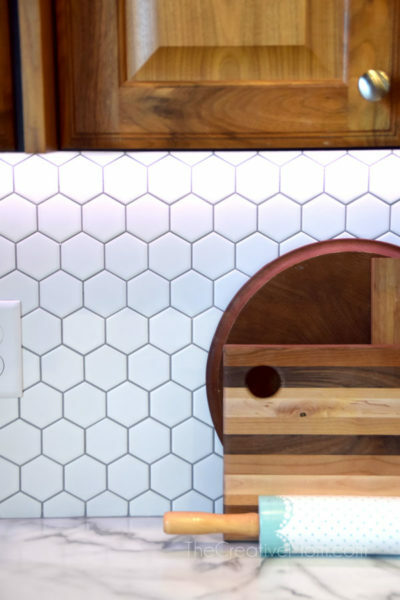 If you’ve never laid tile before, I promise it’s a lot simpler than you might think. If you are unsure, Floor & Decor hosts little workshops in every store on every Saturday. Just check with your local store for times, and go in on a Saturday and they will walk you through everything before you get started. But I promised I’d walk you through the step by step, so here we go. Make sure you have a clean, smooth surface for your tile. We had to rip our old tile off, which left us with some uneven drywall. 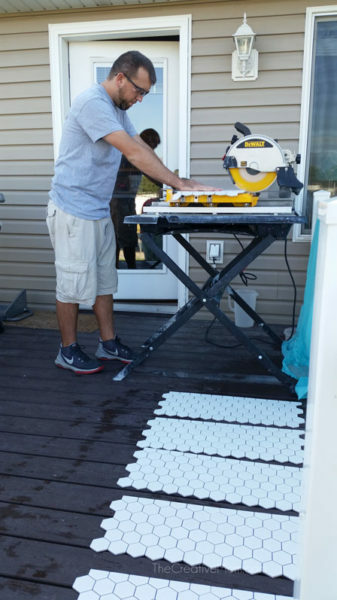 Before we laid any new tile, we puttied and sanded to make sure everything was pretty even. 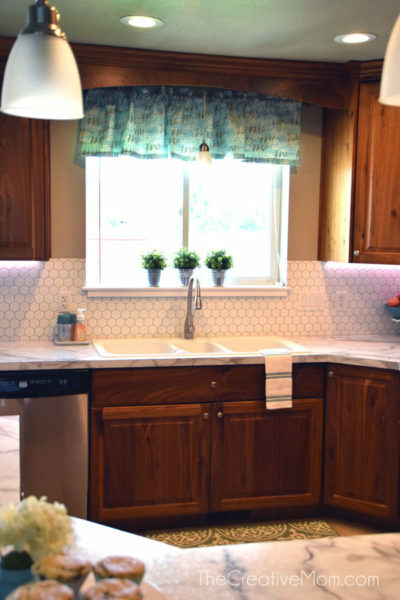 It doesn’t have to be perfect because your thinset will fill in some of the imperfections, but you’ll have a better time tiling if you make sure your surface is ready. I loved this tile because it came in a sheet, so we didn’t have to lay every tile individually. It was really easy to work with and I actually had a lot of fun doing this with my husband. We started in the middle of our wall so our grout lines would line up with our window. We used premixed thinset. It is more expensive, but since we only had to buy one bucket, it was worth it not to have to mix it all up ourselves. Just spread some thinset on your wall, making sure it’s spread evenly. Then push your tile up against the thinset on the wall. 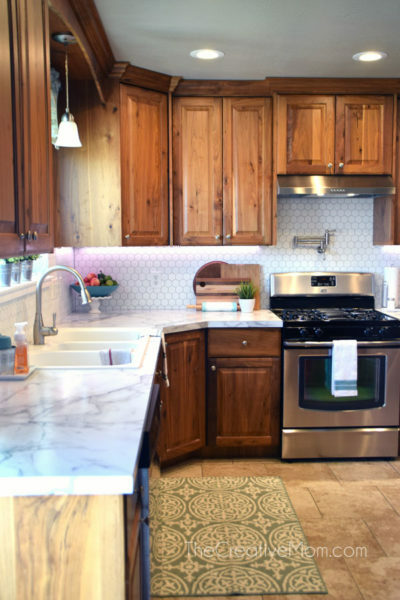 Start at the countertop and work upward, using tile spacers between the sheets of tile so you get even grout lines. Hold your sheets up before you stick them on the wall so you know if there are any cuts needed before you apply the tile. 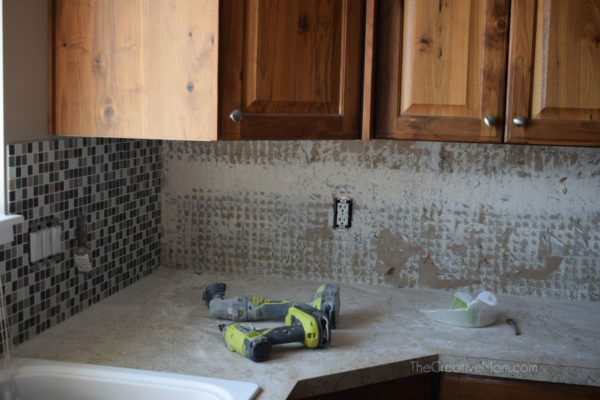 Grouting might just be one of my favorite DIY things to do. It’s like the DIY version of icing a cake. Haha! I used this premixed grout and loved it because I didn’t have to wonder if I had mixed it to the right consistency, it was just ready for me. Make sure to follow the directions on the back of the package. Basically you just smear the grout onto the tile with your float, ensuring your grout is pushed into all the spaces of the tiles… yes, I’m using very technical terms here. 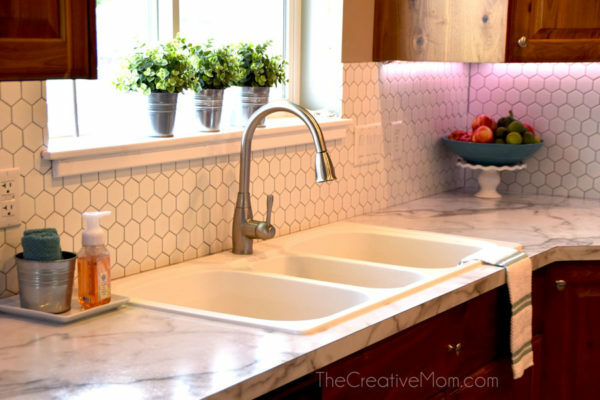 I found it was best to grout small areas and wipe the excess as you go. You want to wipe off the extra grout before it dries on your tiles. Just keep a bucket of water and a sponge handy and wipe as you work. Make sure to change your grout water frequently so you have a clean sponge to work with. If you need to seal your tile or grout, wait until everything is dry and then apply. Since I used porcelain tile and the grout I used didn’t require a sealer, I didn’t need to seal anything. 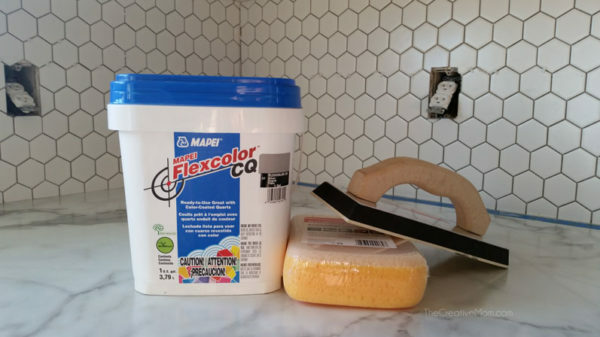 But if you are using a marble tile, you’ll need to seal your tile. And some grouts require a sealer. Check with the Floor & Decor people and they’ll know if you need a sealer or not. If you don’t, then you are all finished and good to go! Seriously, guys, I’m in LOVE!!! You can find you nearest Floor & Decor store HERE. Be sure to check them out. « DIY Halloween Candy Holder – it lights up! 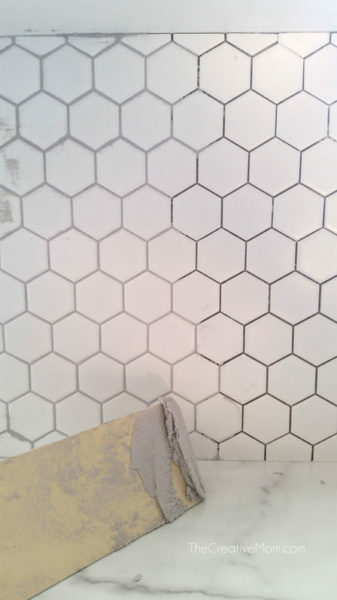 Great step by step tutorial on how to lay tile. Having the tile come in sheets like that makes it a lot easier than having to do them each one at a time. 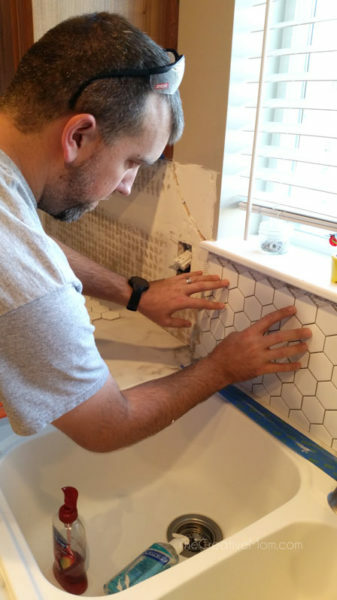 I have laid a lot of tile in my day from churches to friends houses and my favorite part is definitely the grouting as well! 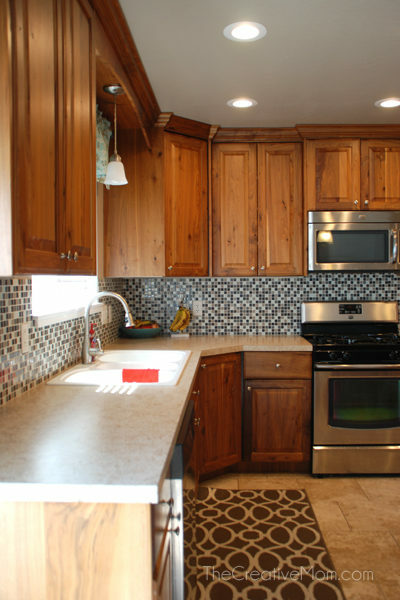 Great job, the white tile definitely makes the kitchen pop a lot more, especially next to the darker cabinets! Well Done!!! 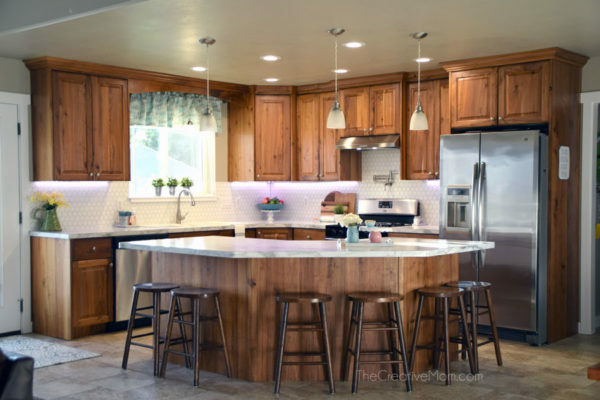 We have done a lot of tile flooring here recently along with some bathroom and kitchen remodels involving tile, and there are some cheaper options out there. My advice though is to do something other than white if you are going to have tile flooring as it will show everything as far as dirt. 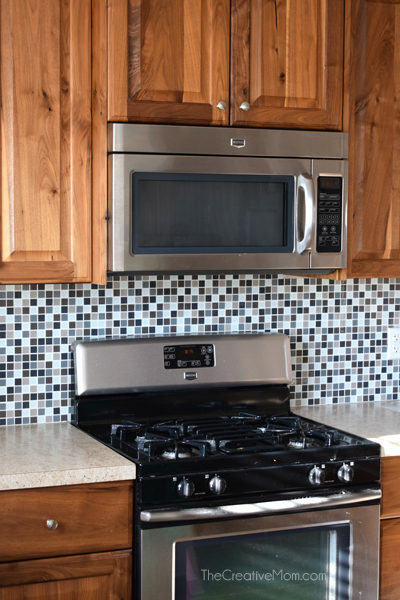 I don’t like my backsplash and was wondering how months I should save money in order to hire specialists to do that. Usually I work as a cleaner and don’t earn a lot of money, so after reading your article I showed it to my husband. He said we should give it a try and we did it. Thanks for sharing your experience and helping people like me. Now a have a gorgeous kitchen!